We are one of the leading manufacturer, Supplier & exporter of Inline Reactor. Our other product range includes Continuous Reactor, Plug Flow Reactor, Static Mixer Reactor and many more. 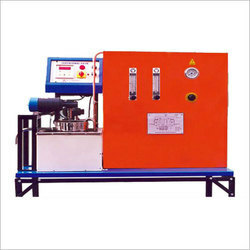 Being one of the noted manufacturers, exporters, and suppliers, we are engrossed in providing Plug Flow Reactor. Owing to its isolated flow and proper mixing in radial dimensions, the offered reactor ensures operational fluency and optimum quality results. Plug flow reactors are examined for their flawlessness and quality before handing over to the esteemed customers. 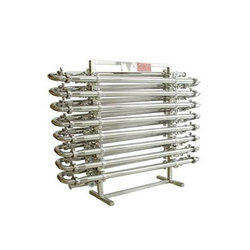 We are engaged in the manufacture, export, and supply of Continuous Reactor that is widely applauded for its constant heat transfer.These high functionality reactors are used to carry material as a flowing stream. The offered range is vastly used for different biological and chemical processes in pharmaceutical, food and chemical industries. 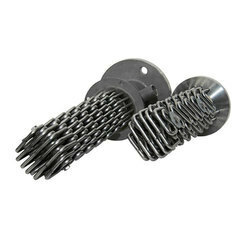 Continuous reactors are provided at affordable rates. Rufouz Hitek Engineers is considered a trusted name in the industry that manufactures and exporters of Static Mixer Reactor. Manufactured in compliance with the predefined industry standards, these reactors ensure longer functional life and robust construction. The proposed selection of reactors is widely popular for its constant distribution and operational fluency.